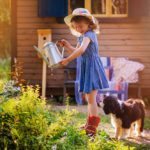 Home / Modern Pest Blog / How Often Should I Treat My Yard For Mosquitoes? How Often Should I Treat My Yard For Mosquitoes? Buzzing, whining, stinging, itchy, annoying mosquitoes. Besides the itchy welts and endless whining in your ears, mosquitoes are even more than just a nuisance at your outdoor BBQ. Mosquitoes can also be carriers of infectious disease. Which is a real concern and threat to New Englanders. The answer to this question could depend on several factors. For instance, weather, environment, application process and mosquito population levels surrounding your property can all play a factor in how long the treatment will last and its overall effectiveness. And as a result, these factors may alter how frequently you will need to retreat your yard. As a rule of thumb, assuming optimal conditions, Modern Pest will typically seek to re-treat your yard every 30 days. After 30 days, the material will have begun to degrade making the protective barrier around your yard, noticeably less effective. Our pest management professionals will perform a thorough inspection of your property and provide suggestions to reduce mosquito population growth in your yard. They will also let you know if there are any specific reasons why you might want treatment on a different schedule. Do you treat the entire yard/woods? This depends on the area that you would like to be mosquito free. If your property is larger than 1 acre, we typically begin with a treatment area of 1 acre. For properties, less than 1 acre would focus treatments in conducive areas of the entire yard. We specifically treat the perimeter of the yard. For instance, under foliage, wooded sections, and shaded, damp areas. These are the preferred locations where the bulk of mosquito populations rest during the day. Therefore, it will create the largest impact on mosquito populations around your home, using the least amount material as possible. Furthermore, it creates a bit of a protective barrier around your home. While it is true that mosquitoes could fly in from the neighbors, they are not good flyers and will need to rest – on the treated locations. 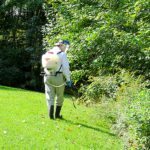 This approach provides a noticeable improvement in the mosquito populations in your yard. 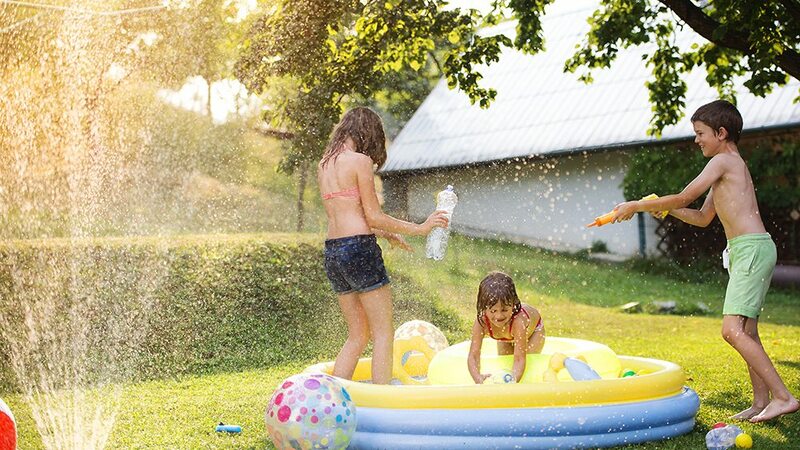 Is it safe for pets/children playing in the yard? Children and pets should be kept away from the area while making applications and off the treated surfaces until the material has dried. Once the material is completely dry, which entirely depends on the humidity and weather conditions, the material label indicates it is fine to let children and pets interact with the treated area. We hope the answers to some of these commonly asked questions helps you better understand mosquito and tick control; providing you, even more, peace of mind. A complete tick and mosquito control program not only eliminates mosquito breeding sources and targets tick hot spots around your home but it also includes long-term prevention. Modern Pest Services’ Homecare Tick and Mosquito is an effective mosquito and tick management program. Call or click today to get a FREE quote and schedule a service!